It’s almost the time of year when women’s football takes centre stage, as eight of the best institutions battle it out for the bragging rights as seven attempt to dethrone TUT. The Tshwane side made history last year as both their male and female sides won their respective Varsity Football tournaments. 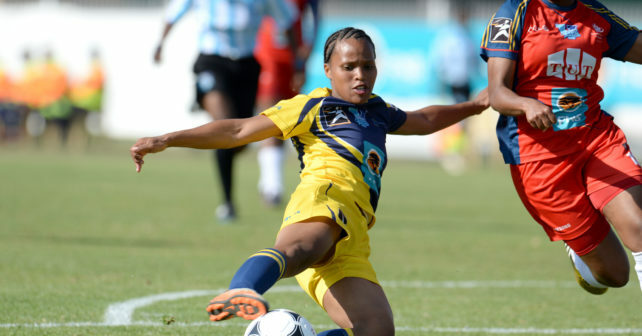 The TUT ladies defeated UWC in the final by a single goal. With a few weeks to go Varsity Sports sat down with Thembi Kgatlana and Puleng Moremi from UWC to discuss the upcoming tournament. Both ladies were part of the team that was defeated by TUT last year and want to go out and better the outcome of last year’s tourney. UWC have lost their influential skipper Amogelang Motau, as well as Drishana Pillay and Chamelle Wilshere, to Oral Roberts University in the United States of America. The trio has been the core of the UWC team and fans are eager to see what coach Peskin will do to replace the trio. “With the loss of players, like Amo, it’s going to be hard for us, but we are not going there to make up numbers,” said Kgatlana. “We are going to fight till the end. Unfortunately I won’t be part of the team as I will be in Zimbabwe with the national team (Banyana Banyana) for the Cosafa Cup,” added. This tournament has eluded the ladies from UWC. 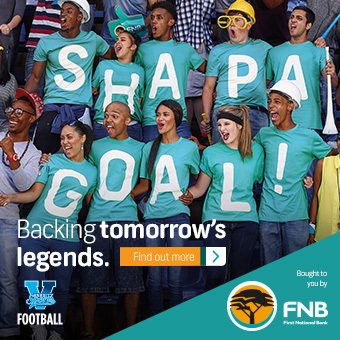 They will hope to do better as NWU, Tuks and UJ stand between them and a semi-final spot..
“Our aim is still the same this year ­– to reach the final and hopefully do better and win the tournament. In order to for us to reach that goal we will need all the players to fight and have character to push us to victory,” concluded Moremi. The tournament takes place in Potchefstroom from 21-23 September and the final will be played on the 28th.